What Are Good Fonts For Clothing Brands? You are here::Sienna Pacific/Blog / Ask Sienna/What Are Good Fonts For Clothing Brands? The world of fonts can be extremely overwhelming when you are trying to create your brand, make your statement and investing in it onto labels that will represent you and your company. 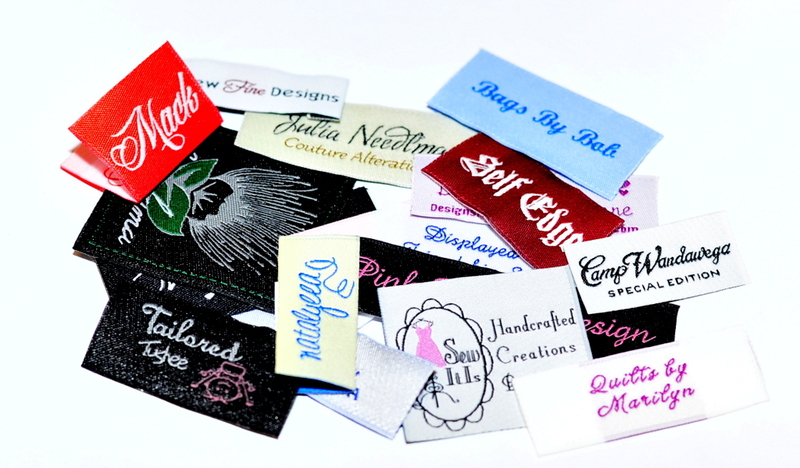 What is great about creating a woven label is the options are limitless. All we ask you to do is to consider the size of your label and if it is small, then maybe a really scripted artsy and detailed one wouldn’t be your best option. In the picture above, there are all types of customers represented. The one thing they all have in common is that they had to choose a font to work with. The best way to break it down easily is to consider the font classifications. Then, determine from the classifications what DOES NOT speak to you and your style. The question is: What are the best fonts for Clothing Brands? First off; you have your own personal style and no one should tell you what to use for your labels. What I can do though, is share with you what seems to be the most popular and effective and let you choose from there. 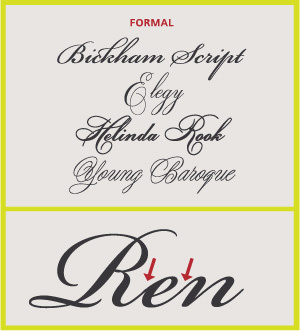 Here are a few different styles that fall under the Classification of Script Fonts. 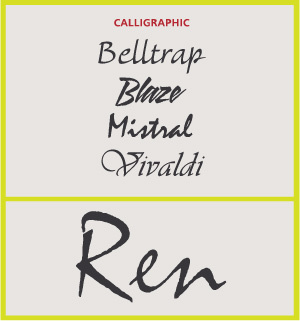 These fonts are used quite often and lend themselves well to clothing labels. Now, a line of children’s clothing may not be best suited for this type of font. For the more fun and playful fonts, consider the Classification of Decorative. The key is to find the font that represents you the best. This is just a brief idea of what is available out there; and the hardest part are there are millions to choose from! I would encourage you to keep it simple and think about your overall image. To find fun fonts and great ideas, just type ‘fonts’ in your search engine and you will see the options are limitless. I can’t encourage you enough, however, to decide a class of font you would like to use before you dive in. If you still need help; give us a call! If you want to read more articles about choosing the right font for your brand’s clothing labels, click on this link, or if you want to learn about other design considerations to be aware of when designing your labels, click this link. 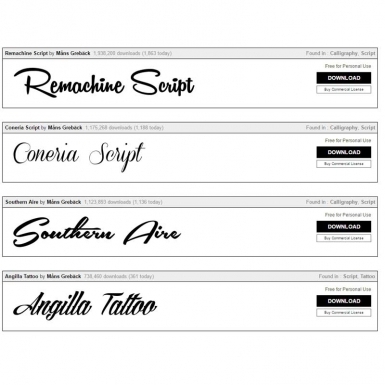 We are keeping up with the new script fonts in the marketplace….